The Mercedes-Benz C-Class has grown from the German automaker's entry-level car to a matured, handsome 5-passenger executive sedan. 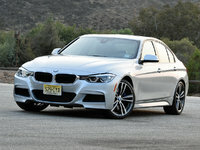 Not only has it grown in terms of its physical size, but its styling and interior refinement have grown as well. The result is a car that seemingly does everything a consumer would expect of a larger E-Class--when it comes to luxury that caters to a driver with a daily commute, few do it like the Mercedes C-Class. Dating back to the 190E, this redesign represents the fifth generation of the C-Class, internally designated W205. This redesign arrived for the 2015 model year and the 2016 version is largely a carryover. It is built on Mercedes’ all-new MRA (Modular Rear-wheel-drive Architecture) platform, which uses more aluminum in order to shed 220 pounds while also improving structural rigidity for better road-handling. The C-Class features a flowing design, with character lines that stretch all the way from the front end to the rear wheels. The front fascia itself is a work of mechanical art, with a bulging hood, sharply angled LED headlights, and large oval grille with a massive Mercedes-Benz logo. If you look closely, you’ll notice a character line that stretches under the grille, through the headlights, and all the way through to the rear wheel arches. The rear of the car closes with an elegant boat-tail, inspired by top-end Mercedes models such as the S-Class sedan. The cabin of the C-Class is where Mercedes designers really earned their paychecks. While competitors like BMW and Audi opt for a colder, mechanical aesthetic, Mercedes-Benz knows how much time a driver spends inside their car, and how attractive that interior should be. As such, the C-Class's cabin is elegant, attractive, and rife with features like a standard 14-way power driver’s seat with memory settings, dual-zone automatic climate control, and keyless push-button start. Optional features are plentiful as well, including heated/ventilated seats, an optional cabin fragrance system, and a multicolor LED ambient lighting system that bathes the cabin with stunning luminescent accents. The cabin is centered around a standard touchpad controller, which offers intuitive control of all audio and climate functions, navigation, and various other vehicle settings. A rotary knob provides simple scrolling and the touchpad itself responds to swipe and taps, even recognizing numbers and letters drawn with your index finger, perfect for entering an address or calling up a contact for Bluetooth-paired calling. The base model for the C-Class is the C300, which features a turbocharged 2.0-liter inline-4 making 241 hp and an impressive 273 lb-ft of torque, sent to the rear wheels through a 7-speed automatic transmission with paddle shifters. If you seek the road-handling benefit of all-wheel drive (AWD), Mercedes offers the C300 4MATIC. Want more power? In 2015, Mercedes offered the C400, delivering 329 hp and seemingly all the refinement of a flagship S-Class (in C-Class proportions, of course). Now, Mercedes-Benz has replaced this model with a new variant that is even more potent. The C450 AMG Sport uses the C400’s twin-turbo V6, but with output cranked up to 362 hp and 384 lb-ft of torque, yielding a 0-60 time of just 4.8 seconds. Features like variable valve timing, direct injection, and auto-stop-start technology all help to provide optimal fuel economy and minimal emissions. The standard C300 returns fuel economy of 25 mpg city/34 highway. The AWD C300 4MATIC returns 24/31 and the potent C450 AMG Sport will deliver an estimated 21/29. If you seek even better fuel economy numbers, a C-Class plug-in hybrid is on its way. 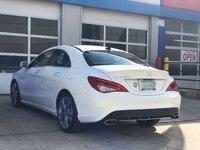 Dubbed the C350e, it combines a 4-cylinder 208 hp engine with an 80-hp electric motor powered by a lithium-ion battery pack. Net output is 275 hp and 443 lb-ft of torque. There are no EPA test figures for this vehicle, but Mercedes says it can travel an estimated 18.6 miles on electric-only power. Base MSRP for the 2016 Mercedes-Benz C300 is $38,950 for the rear wheel drive model. The AWD C300 4MATIC will clock in at $40,950, and the performance-oriented C450 AMG comes in at $50,800. Pricing on the C350e has not yet been announced, but look for it in select states early in 2016. What makes the C-Class such a great car to drive is not just that it has smooth power delivery, or a supple ride, or even that it has a terrific interior. 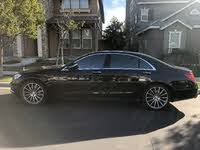 What makes this Mercedes so exemplary is that it has taken all of the attributes found in the range-topping S-Class and condensed them down into a fun-to-drive everyday commuter sedan with head-turning curb appeal for the weekend. What's your take on the 2016 Mercedes-Benz C-Class? Users ranked 2016 Mercedes-Benz C-Class against other cars which they drove/owned. Each ranking was based on 9 categories. Here is the summary of top rankings. 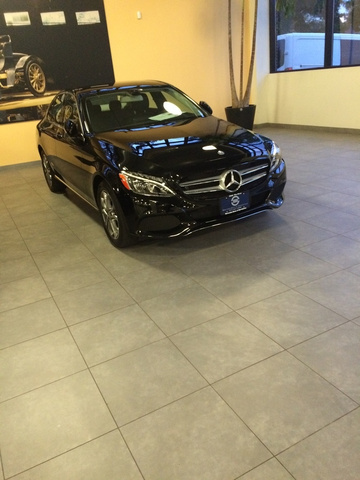 Have you driven a 2016 Mercedes-Benz C-Class? If my key battery is low on my 2016 C180, will the hold to unlock button prevent the windows from going down? Do you still offer free deliver? I'm in Nashville and the car is in Plano Texas. Or do you have a delivery provider list?